Scenic Pacifica, the City by the Sea, is a unique coastal community located on the Pacific Ocean. Ideally situated just ten miles south of San Francisco, you will find everything within reach: the San Francisco Airport, BART, shopping and sightseeing opportunities, local elementary and high schools, and affordable housing. With miles of uncluttered beaches, acres of open space for hiking, and an abundance of small town charm, historic Pacifica offers something for everyone. The department handles over 20,000 calls for service each year. Patrol cars are equipped with video cameras and computers. The department is located in a recently completed 18,000 sq. ft. police facility. Reserve Police Officers are required to work a minimum of 16 hours per month and attend the monthly reserve meeting. The department generally uses Reserve Officers to assist full-time officers in their daily patrol duties and special details such as traffic control, transportation, community events, parades, picnics, surveillance, and special recreation and school events. Reserve Officers are not compensated monetarily for their service. Compensation for Reserve Officer hours worked at certain details is donated directly to the Reserve Organization fund. Monies from the fund are used to cover expenses such as the ARPOC training conference. All safety equipment and an initial uniform allowance are provided. Applications for Level 1, 2, and 3 Reserve Officers are accepted continuously. Applicants go through the same extensive screening process as full-time officers and must then complete a formal in-field training program. 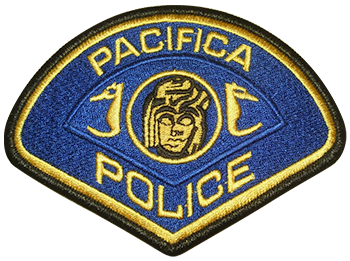 During this training the Reserve Officer works the streets of Pacifica with a Field Training Officer. The department is always looking for good applicants. Many of our present full-time officers came from the reserve organization and were sent to an academy by the department when selected.